Inspiration is key. If your goal is to inspire others to take control of their lives through fitness, then teaching DDP YOGA is for you! 2) Pay the registration fee. This will get you started and allow you access to this website. We have a no refund policy due to the easily downloadable and reproducible nature of the Online Certification Program study materials, journal template, DDP YOGA Program Manual and workout videos. 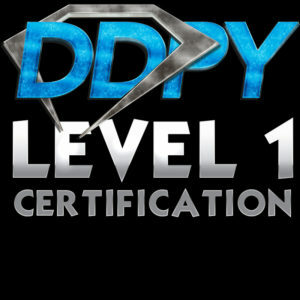 As a paid registrant of the DDP YOGA Online Certification Program, you are stating that you have thoroughly read and understand all requirements for certification, all the terms in the teacher’s agreement and have made an informed decision to purchase the DDP YOGA Online Certification Program with full knowledge that there are no money back guarantees nor refunds available for those who, at any time and for whatever reason, decide to discontinue their pursuit of certification. Also be aware that all Certifications must be completed in English. Soon after your registration for the Level 1 certification, you will be assigned a mentor. This is someone who is already Level 1 Certified. They are they to help and guide you on this journey. Your mentor will review your video submission, offer advice on the training program and generally be a great person to know.